Most of my friends would probably characterize me as energetic, determined and fun loving. It is true I want to be active and involved with life, especially nature. I love camping and everything that goes with it like the smell of wood blazing in a campfire, cooking on an outside table, waking up to the sounds of Crows, Finches and squirrels chattering. It feeds my Soul and brings me comfort I can find nowhere else. That is the reason I decided I was not going to let the disability I incurred almost 20 years ago keep me from what I have enjoyed all my life. The early years of camping with a disability were arduous to say the least. At that time people with disabilities were not even considered in the planning of recreational outdoor areas. The Americans With Disabilities (ADA) was brand new in 1990 and nothing was even close to being enforced. Some planners and budget minded designers perceived laws like the ADA as intrusive. Just like the Civil Rights Act implemented in 1964, both have been praised and ridiculed as an answer to equality. There is no doubt, however, the guidelines enforced by both have made our society a better place to live and work for everyone. For people with disabilities it ensures equal opportunities to access the very same experiences and privileges people without disabilities have always cherished. Now it’s beginning to be a whole new experience with accessible docks, concrete pads to camp on that allow smooth wheel chair access, accessible toilets and showers, raised picnic tables and fire grills, accessible entrances to lodges and bait shops and plenty of disabled parking. I no longer have to take a lawn chair into the shower to sit in or take a roll of paper towels for hand drying because the hand blowers were too high or be restricted to one or two places that were not to steep or rocky to fish safely. One of my favorite camping areas is Roaring River State park located just south of Cassville about an hour from Springfield. Known for it’s premier trout fishing, it nestles in a valley with clear ice blue water meandering from a deep underground cave. If you are lucky enough to wake before the whistle that signifies fishing is open, you will drink in a breathtaking view of the mist lifting off the earth in a mystical silent dance. A weekend there and you will feel like you’ve had a two-week vacation. There is also a huge variety of adaptable equipment for anyone with any disability to enjoy their favorite outdoor activity weather it’s camping, hunting, fishing, archery, bird watching or just walking. A great place to find out about all of these wonderful technologies and actually try some of them out is at the annual “Day At The Range and Outdoor Adventure Fair” held at the Andy Dalton Shooting Range in Bois D’Arc. Additional information can be found on the web at www.swcil.org or by calling Southwest Center for Independent Living at 417-886-1188. This is a great way to find out everything available to you and maybe some things you didn’t even know existed! And where else can you have all that and a free lunch too? I have always believed being in outdoor recreational activities promotes life long development of character as well as camping skills, teamwork and appreciation of the environment. It gives a chance to experience first hand what none of us can afford to lose, our connection and responsibility to the earth we share. Camping is a group experience for my family and my four kids were raised loving it. Now I can enjoy it equally with them and my eight grandchildren. Thanks to the dedication of disability advocates and the visionary planning of the Missouri Department of Conservation, the outdoors in Missouri is available to all of its citizens. Everyone knows Nature is ever evolving so why shouldn’t we? 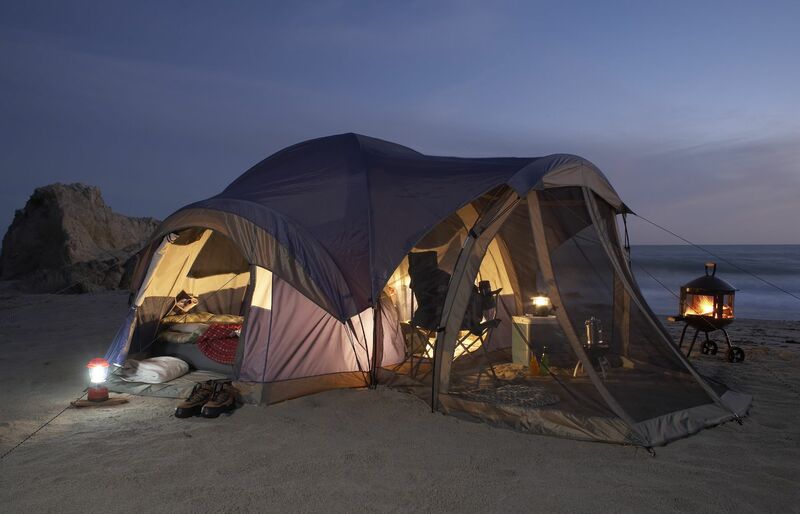 This entry was posted in Camping, Disability and tagged camping, Disability.